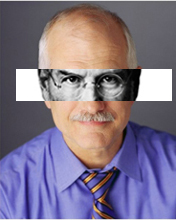 The lives of the recently departed Jack Layton and Steve Jobs do not, at first glance, lend themselves to comparison. The former was a veteran politician, known for his leftist views and above all for leading the federal New Democratic Party to unprecedented success and official opposition status in the 2011 election. The latter was a brilliant and mercurial entrepreneur who founded Apple and was later ousted by its board of directors, only to be brought back when the company's fortunes sagged badly. Weeks before his death, Apple briefly became the world's most valuable corporation. Yet the two men did have some things in common. Both Layton and Jobs were highly successful individuals who managed to command tremendous respect and to inspire excellence in those who surrounded them. Both took damaged brands and brought them to levels of success no one would ever have dreamed possible at the beginning of their tenures. And each man's death triggered an incredible outpouring of grief from strangers who felt that he had made a deep impact on their lives. At the same time, something fundamental distinguished Layton and Jobs: their personalities. By all accounts, Jack Layton was a warm, kind and decent person, one who left a good impression on everyone he encountered. He was a devoted family man and a good friend. Conversely, Steve Jobs was a difficult and temperamental boss. When sued for support by the mother of his first child―who was then on welfare―he swore under oath that he was "sterile and infertile" before ultimately acknowledging paternity. Early in his career, he lied to his business partner to cheat him out of almost $10,000 (adjusted for inflation). No matter how many people they affected personally, however, both men had an impact on far more people than they actually knew personally. By design, each man had a significant effect on the lives of countless individuals whom he never met. Of course, the manner in which they sought to change the world was very different: Layton through politics, Jobs through commerce. And the result is that the effect of their time here on Earth has differed not only in terms of their direct interactions with others, but also in terms of the ripple effects of their work. "Layton devoted his career to expanding and extending state power and to reducing individual freedoms. Conversely, Jobs spent his life working on convincing people to give him their money voluntarily." Layton spent a decade on Toronto's city council and took over the helm of the NDP in 2004. While in public life, he championed such causes as union power and measures to fight homelessness. He campaigned against corporate tax cuts and in favour of more government spending to combat all sorts of evils. He fought private healthcare, opposed free trade and supported restrictions on campaign donations. To put it simply, he devoted his career to expanding and extending state power and to reducing individual freedoms: the freedom to trade with foreigners, the freedom to seek private medical care, the freedom to keep your own money, the freedom to speak on political issues, and so on. To his credit, there were exceptions to the rule, including support for gay marriage and skepticism of military involvement. Unfortunately, however, his legacy is one of a bigger state that puts ever more restrictions on what we can and cannot do. Conversely, Jobs spent his life working on convincing people to give him their money voluntarily. To that end, he created revolutionary devices that changed entire industries and created entirely new product categories, such as the Macintosh (the inspiration for Windows), the iPod, the iPhone and the iPad―which became the fastest selling electronic device in history. 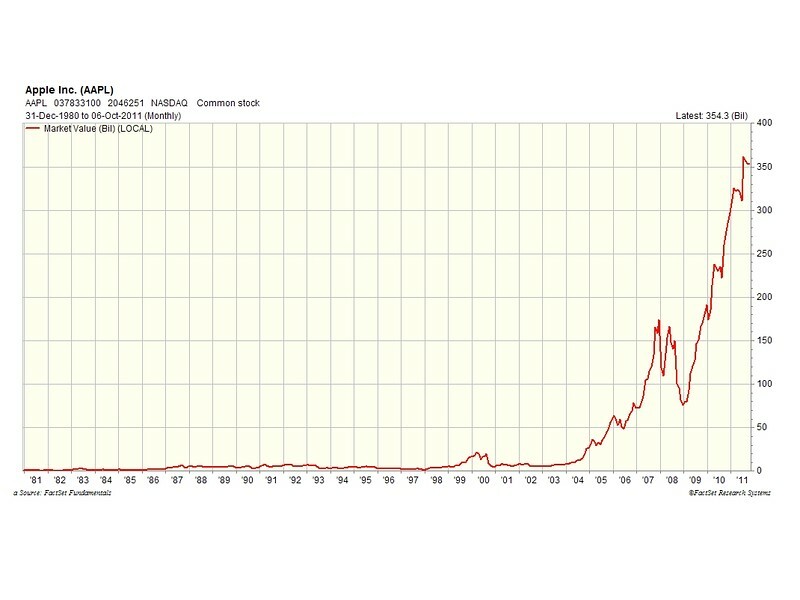 After 14 years under his leadership, Apple's market capitalization rose from $2 billion in 1997 (when he returned as president) to over $350 billion. By one estimate, he created $30 billion in value each year for Apple's shareholders. In between, he purchased animated graphics firm Pixar for $10 million in 1986 and sold it for $7.4 billion 10 years later―in other words, increasing the company's value by a factor of 740. In sum, Jobs' track record was one of wealth creation on a massive scale, one that only a very few human beings in all of history could rival. Anyone who uses a computing device―whether made by Apple or not―is incalculably better off for his having lived. Layton and Jobs were very different men in two separate ways. On the one hand, the former seemed to generate goodwill and joy wherever he went, whereas the latter was, at best, someone who seemed capable of turning on you if you failed to meet his exacting standards or even just if the mood struck him. On the other hand, Jobs, spent his time among us generating tremendous amounts of prosperity and enabling us to live better and happier lives, whereas Layton, for the most part, promoted the idea that he and others like him knew best how we should behave and that we should be punished for not living by the rules that they impose. I have little doubt which of the two men I would have wanted to know personally as a friend or as a colleague. I have equally little doubt as to which of them has contributed to more happiness or created more abundance for all to enjoy. I am sorry that I never knew Jack Layton as a person. But I am even sorrier that Steve Jobs is no longer there to make my life easier, better and more fun.